Clinch Memorial Hospital is partnering with the Georgia HEART Hospital Program to implement this exciting new rural hospital tax credit. Your contribution will increase our hospital funding and our ability to provide for the health care of individuals in our community! 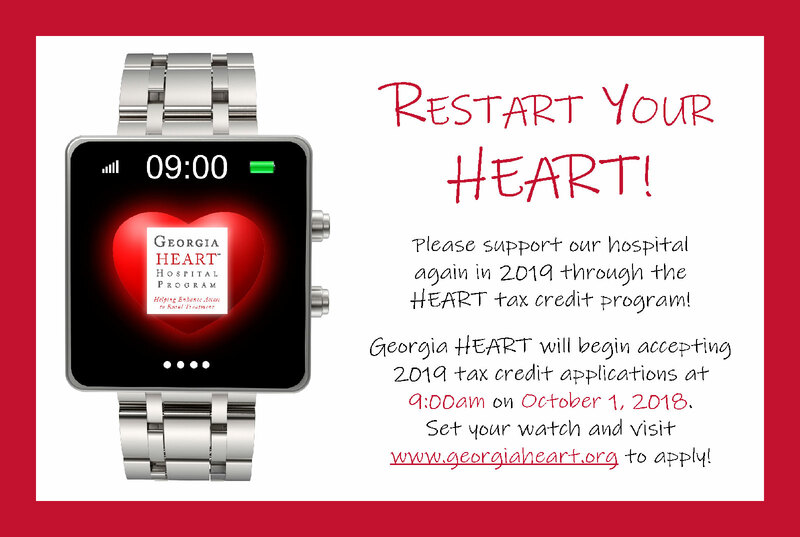 For information about the rural hospital organization expense tax credit, please visit the Georgia HEART website at www.georgiaheart.org or please contact Sandra Hughes, Clinch Memorial Hospital CFO, at 912-487-5211, ext. 4347.